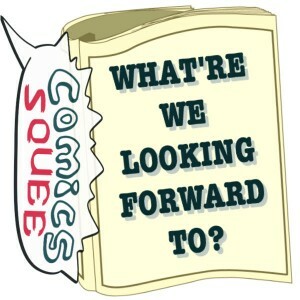 Welcome, lovely listeners and Precious Patrons of Pulp Pamphlet Parlay, to Issue 49 of Comics Squee. Each podcast our panelists, born to cry “imperious rex”, discuss the comic books, graphic novels, and general sequential art geekery that excites them. In this issue of Comics Squee we have: the world’s most powerful non-team superhero team ; a memoir of Nazi Germany ; our favorite new comic convention ; and a hacking tale. This graphic novel is by Ed Piskor, who does Hip Hop Family Tree. This as well researched and gorgeous as that, but this book is fictional. 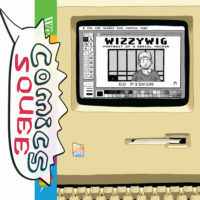 Wizzywig is about the hacking scene and America in the late ’80s, early ’90s. It’s not a biography, but rather a fictional story of a person based on the sorts of people who were phone freaking and hacking at that time and things that did happen to people. And there are historical figures in it like Steve Wozniak. Ed Piskor’s art is great, and his research is always well done. Not to mention the design of the book itself. April learned things and would like to read it again just to get the nuances because there’s a lot going on. 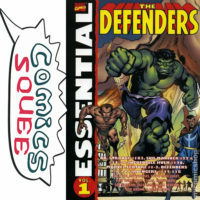 The Defenders are the world’s greatest non-team super hero team, and one of both Chriss and Dan’s favorite titles. They both prefer the classic line up of Doctor Strange, The Hulk, Namor, and The Silver Surfer. How do those guys function as a team? They don’t! Usually Doctor Strange summons them to deal with a grave threat on a such a scale that only their massive powers combined can subdue it. Most of this squee is about the first volume released. 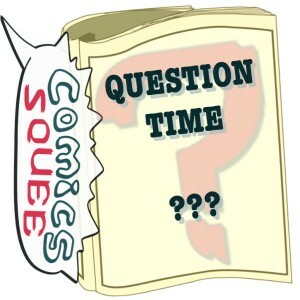 The series has run for a long time and a LOT of now-classic names to comics worked on it over the years. It spans from great adventure horror to classic superheroic bombast. It’s just plain fun and everything’s on a grand scale. The ‘various’ on this fine collection are: Marie Severin, June Braverman, Roy Thomas, Steve Englehart, Len Wein, Gene Colan, Ross Andru, Sal Buscema, Charlotte Jetter, Jack Abel, Bob Brown, Herb Trimpe, Dan Green, Frank McLaughlin, Mike Esposito, Jean Izzo, Art Simek, Klaus Janson, Bill Everett, Frank Bolle, Tom Orzechowski, Frank Giacoia, Stan Lee (editorial). Bonus: Chriss explains what the deal is with Doctor Strange, The Hulk, and Silver Surfer and hilarity ensures. 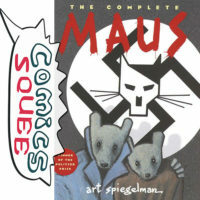 This is Spiegelman’s masterpiece about his father in Nazi Germany. It’s party the story of his father, partly the story of his father telling him the story and their relationship. The art is a gorgeous cartoon style. The script is excellent. All the people are anthropomorphized animals; the Jews are mice, the Nazis cats, etc. 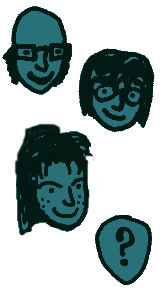 And that, combined with the cartooning, make it less harsh and easier to read about the horrible things that happen. There are two volumes. The first book is Maus: My Father Bleed History, the second is Maus: And Here My Troubles Began. Maus is a great way to absorb history. It makes a personal story, a story about a family, instead of a history lesson. Which makes it an access point for readers of all ages, buy especially young adult readers who have a hard time accessing this information. Incidentally, it was Maus that got April interested in comics. ComicFest is a new convention in San Diego, created by some of the same folks who started ComicCon back in the day and designed as a return to that event’s roots as a more personal event. Dan SDCC back in it’s inception as a cozy hotel convention with a 1000 attendees and you could hang out with Jack Kirby poolside. 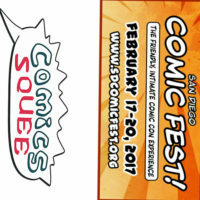 San Diego ComicFest is a return to that low pressure, casual and friendly feel. Enjoyed the first hulk movie for it’s cinematography, but Lou Ferrigno is best Hulk. The force of nature, “Why puny humans hate hulk” version. Like Chriss, the simple, childlike Hulk always wondering. Also a fan of the Hulk/Hawkeye broship from the Avengers: Mightiest Heros cartoon (which was canceled for a cartoon more like the movies). Also prefers the more primal, Dr. Jekeyl/Mr. Hyde version of The Hulk. His fav version of Banner, though, is Mark Ruffalo’s from the Avengers movies. Sitting back down with her Defenders volumes because flipping back through them for the podcast makes her want to reread them. Marvel’s announced they’re doing a Doctor Strange: Masterworks book collecting the color versions of the old Steve Ditko issues. Black Fire by Herman Rodriquez, which John picked up a few ComicCons ago and had been sitting in his to-read pile since.